1) Break off a decently sized NORTHERN LIGHTS bud. Remember: The more compact your bud, the easier it will hold onto. 2) Grab your oil dispensing tool (Dropper/Brush) and dribble a few drops of the Hash Oil onto the bud. Get the oil all soaked into the bud for the best concentration. You want it to be moist, but not dripping wet. 3) Grab your tweezers and pick up the bud and roll it around in your kief. Get it soaked evenly around the bud. Just pretend you’re baking. 4) Pick up the kief coated bud with your tweezers and set aside for drying. Now repeat till you have as many moon rocks as you desire. 5) Once your buds are dry, pop them into your pipe or bowl and have a puff or two. 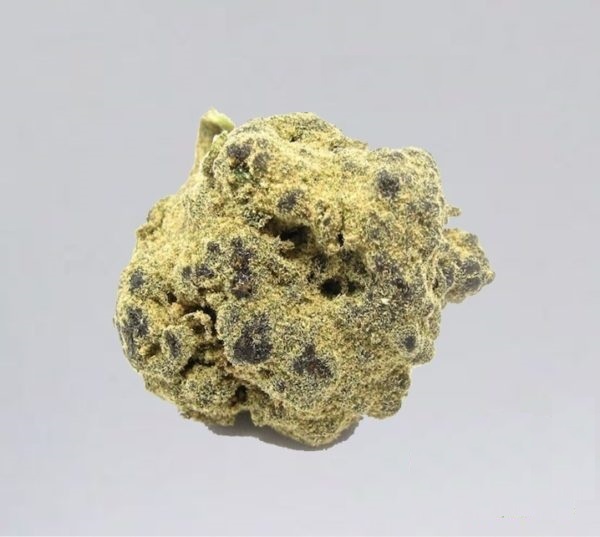 Northern lights Moonrocks stands among the most famous moonrocks of all time, An indica dominant with a THC level of 53% enough to blow you away cherished for its resinous flavor, nice taste, and good for both medicinal and recreational uses. Pungently sweet, spicy aromas radiate from the crystal-coated buds, which sometimes reveal themselves in hues of purple. Northern Lights moonrocks psychoactive effects settle in firmly throughout the body, relaxing muscles and pacifying the mind in dreamy euphoria. Comfortable laziness allows patients to relieve pain and sleeplessness, while its mellow contentment roots out depression and stress. Several different Northern Lights moonrocks phenotypes circulate the market. Personally, In order to have the best experience consuming Moon Rocks, use a hash bowl or pipe and be sure NOT to break down the bud in a grinder, which will make you lose the kief. Instead, it’s recommended to pick Moon Rocks apart with your fingers. You can also use scissors to gently divide up your rocks before smoking. But, proceed with caution, this is considered the “caviar” of the cannabis product line and the strongest form of cannabis on the market. Remember, average weed strains have anywhere from 17% to 30% THC. MoonRocks have nearly double that amount of THC. So, how strong is moon rocks weed? Well, it all depends on how they’re made. According to Kurupt; smoking this form of Moon Rocks will mean that you’re inhaling up to 55.2 percent THC in every hit. That means that a single puff of Moon Rocks would be enough to send a casual stoner sky high — and that experienced stoners wouldn’t even be able to finish off a whole blunt. Depending on who you ask, that could be the most potent form of weed on the market, outside of pure THC extract. Needless to say, it’s strong enough to make being a productive stoner impossible. You’ll be too stoned to do much other than giggle and sit. Even seasoned veteran to smoking Snoop Dogg couldn’t handle the power of the Moon Rocks, nearly falling over himself when he took a hit from them.